The new season of French footy (CNFA) gets underway in a little over a month. It seems like yesterday that the Paris Cockatoos stunned the footy world by taking out the 2015/16 premiership in their debut season, and since then six other teams have been plotting how to pluck the Cockatoos. 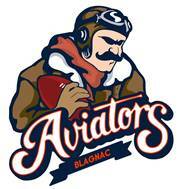 But one team that will just be happy to enter the fields of battle is the brand new Blagnac Aviators club from Toulouse. Having been on the rise in the shadows of last season, the leagues newest entity is ready to roll and will hit their home field first round when they tackle the Bordeaux Bombers on October 15th. It will be an historic day for Blagnac, for the city of Toulouse and for the CNFA and French footy in general. With the introduction of the Aviators, the new season will feature 9 teams in the same single division, another sign of the solid growth in French footy. There will be four complete rounds played prior to the winter break, then another four after the break from February. Highlights of the new season include a Round One Grand Final replay when the Paris Cockatoos meet the Cergy Pontoise Coyotes. The all-Paris showdown between the Cockatoos and the Cockerels will be played in the final round on April 1st. November 12th will be a huge day in Toulouse when the Hawks meet the Blagnac Aviators in the first ever local derby. Like the rivalry that has already grown in Paris with two clubs last season, a new history is about to dawn in Toulouse. The Strasbourg Kangourous need a little luck to change to build a big season, but a run of four out of five home matches between October and February will give them a chance to establish their best side for a consistent run and maybe snag a win or two. If the Perpignan Tigers can win a couple of their earlier games in a tough early draw, they finish with three very winnable games to launch an assault on the finals and go a step better than last season. The ALFA Lions also need things to go their way and three early home matches before the break give them a chance to snare some early victories and climb higher than last season. The Bordeaux Bombers play the Aviators in their first match and would be hoping for a first up win to kickstart their season. 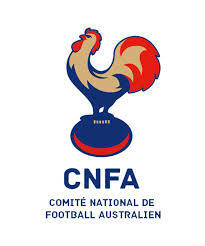 There is certainly plenty to look forward to for the new 2016/17 CNFA season with all teams seeking to better their positions from last season and all looking for ways to bring down the title holders, the Paris Cockatoos.